Medicare Part D offers prescription drug coverage to all Medicare recipients through various plans run by insurance companies or other private companies approved by Medicare. Each plan is different, in that it has different costs and different levels of coverage for certain drugs. There are two main ways to obtain Medicare prescription drug coverage. One option for getting Medicare prescription drug coverage is by enrolling in a Medicare Prescription Drug Plan (PDP). These plans, whether they are Medicare Cost Plans, Medicare Private Fee-for-Service Plans (PFFS), or Medicare Medical Savings Account Plans (MSA), all add some level of prescription drug coverage to your Medicare benefits. The other option for Medicare prescription drug coverage is to enroll in a Medicare Advantage Plan, which is Medicare Part C. These plans are HMOs or PPOs, or another kind of Medicare health plan that offers prescription drug coverage. 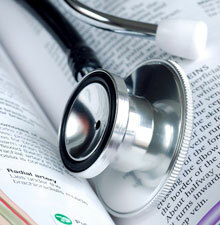 However, you must have Medicare Parts A and B in order to enroll in a Medicare Advantage Plan. The biggest benefit to enrolling in Medicare Part D or a plan that provides prescription drug coverage for you now, even if you don’t currently take that many medications, is that if you wait until later to enroll, you are likely to pay a late enrollment penalty for doing so. In other words, you will end up paying higher premiums if you decline prescription drug coverage now and then decide to enroll in it at a later date. There is also an Extra Help program available that can help you pay the costs of Medicare prescription drug coverage. If you meet certain income and resource limits, you may be eligible for payment of all or part of your Medicare prescription drug coverage premiums. If you have full Medicaid benefits or receive Supplemental Security Income (SSI) benefits, you automatically qualify for Extra Help. 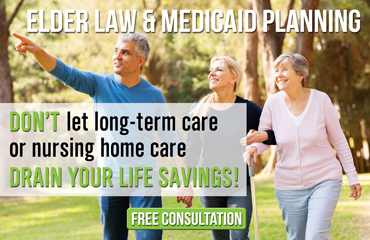 At the Law Offices of The Elder Law Firm PC, we know that deciding between the available Medicare plans and determining which are most beneficial to you can be quite a task. Allow us to take some of the burden of these decisions from you and your family by allowing us to help guide your long-term care plan. As skilled Grand Rapids long-term care lawyers, we are here to guide you through these essential decisions, while you concentrate on enjoying life with your family.